- you are actually going to leave your garden in May for five days. Oh so much you could do in your garden in five days! - your lawn is growing faster than you've ever seen it grow. 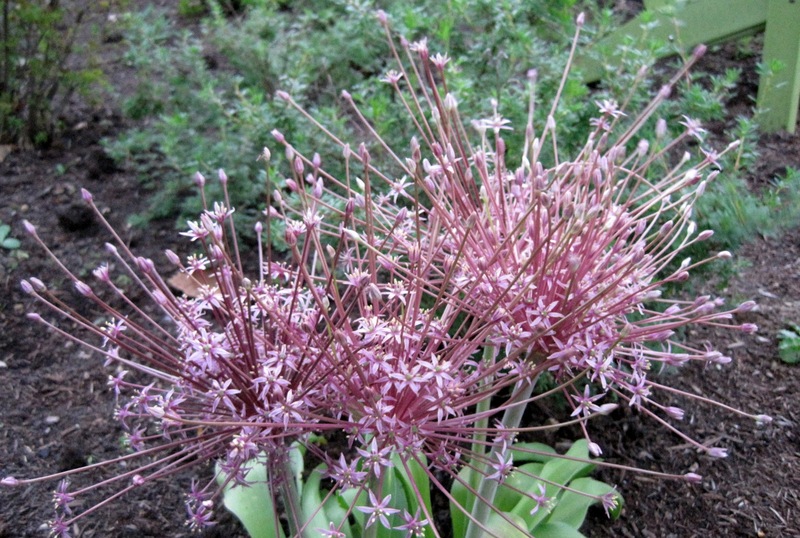 May I present Allium schubertii. 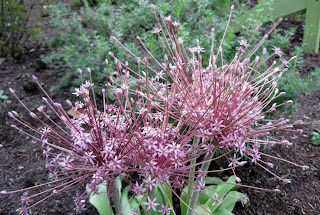 Wild and wooly, sending out florets in a scattered sparkler-like design. I just hope I get everything done that ought to be done before that sparkler burns out. Carol, I've been in the same kind of mad rush to a deadline. Not only am I trying to get it done before I leave for Fling, I'm trying to beat the arrival of summer heat! All the same things are true here! So true, and that is a lovely Allium! My thoughts exactly. It's a reckless, delightful rush of activity that I anticipate with longing and live through with anxiety! And here in Portland, we seem to go from drenching, mud-inducing downpours to dry, cracked soil in about one week!